A place of solitude, prayer and reflection becomes a place of death as the Catholic Church’s lead attorney is brutally murdered in St. Louis’ Cathedral Basilica just days after winning a prominent case. Within hours, Cameron Ballack is appointed the Special Investigative Division team’s lead detective. The wheelchair-bound Ballack, and his new team, must battle secrecy, depravity and deception as they begin to uncover an unholy reign of illicit behavior that has triggered one death after another. Connecting horrors of the past with the case at hand, Ballack gambles everything in a union of logic and intuition to ensnare the murderer. But as the killer’s intentions reach a critical mass, will Ballack and his team be able to stop this evil crusade before more lie dead before the altar of past sins? 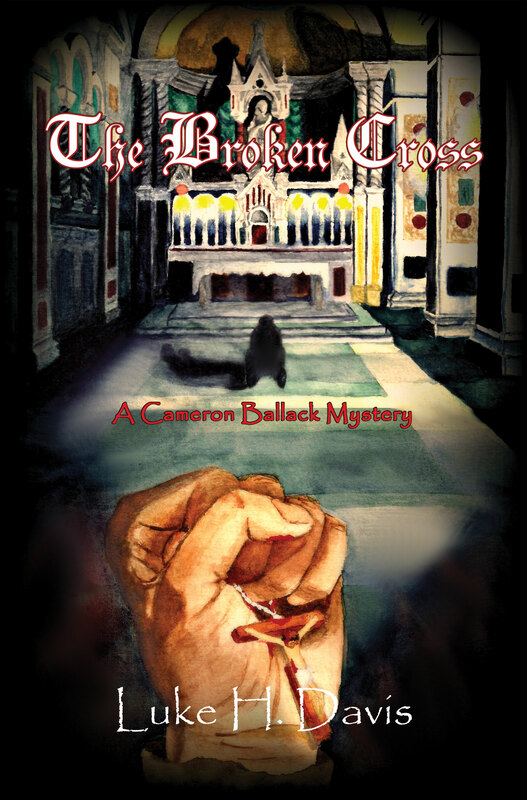 Luke Herron Davis is the author of the Cameron Ballack Mystery series, of which The Broken Cross is the second volume. Litany of Secrets, the first in the series, is available in paperback and ebook formats. Luke has taught in the ethics and religion departments at private schools in Missouri, Florida, Virginia, and Louisiana. He lives with his wife Christy and their children in Saint Charles, Missouri.